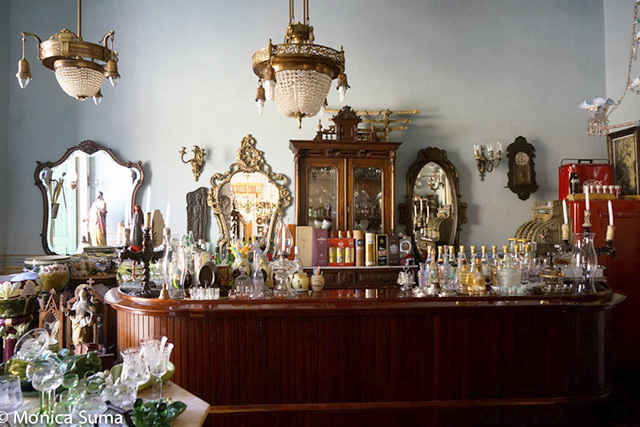 In the small Trinidad, located in central Cuba, pretty museums are the norm. Known as Cuba’s Museum City, colonial architecture looms on every cobblestone street. 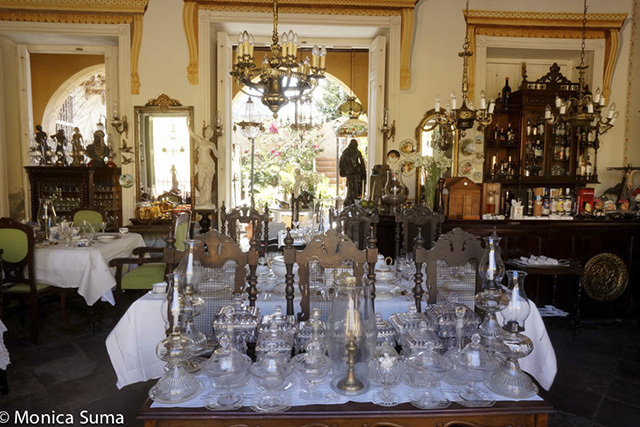 Lucky me, I realized, as I first set my eyes on the antiques of Trinidad. A well-preserved living testament of the sugar trade opulence of two centuries ago, Trinidad is laden with heirlooms like no other city. But even more so than museums, any regular house (make that grandiose mansion, in Trinidadian territory) boasts a dense amount of treasures. The long withstanding ban on exporting antiques simply means vintage paradise for the visiting tourists. Unable to monetize in the traditional sense, locals make the best of the gems’ appeal. This simply means that everywhere you look, riches from the prosperous colonial times are on display. 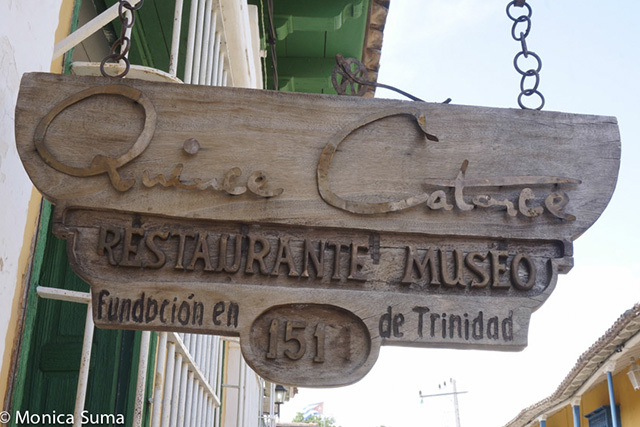 At Restaurante Museo, located at #515 Calle Desengaño, you can dine amidst them. Every corner of this spacious villa, including the courtyard and adjacent bar area, is bedecked with porcelain, Murano glass, baroque mirrors, marble stands, precious chandeliers, you name it – it’s there. It wasn’t until evening set, and found my way back on the same street, also known as Simon Bolivar, that I realized the china museum of sorts I swooned over earlier in fact functioned as a restaurant. The atmospheric music, the candle-lit corner table overlooking the street through wrought-iron grills, the fine silverware, still laid on every table, served as instant incentive in sitting down for dinner. Facing the six crystal glasses set in front of me, the ceremonious dinner I was about to partake felt princely, grand, and every bit whimsical. 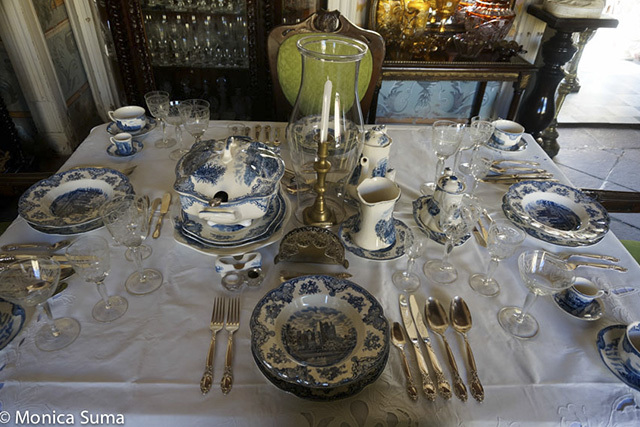 Food wise, however, there is nothing truly memorable in dining at Restaurante Museo 1514. The food is good, but nothing to write home about. In keeping up with the theme of the locale, I ordered Queen Soup, if only to be surprised what queen soup would entail. As it turned out, it was chicken soup, not unlike your grandma’s recipe, comforting but nothing special. The presentation, however, was. Carefully poured from a white ceramic bowl, ladle by ladle, by a poised, well-mannered server, it definitely increased the wow factor. Equally so, the chicken entrée, a big slab of meat not particularly graceful as it lay conquered in my plate, was tasty enough but unremarkable. What is outstanding here, besides the regal setting alone, is the band entertaining, performing both Cuban classics and amorous tunes. There are also few dancers adding to the evening’s repertoire. Don’t be surprised when you finish your dinner, to be invited for a spin. It’s all part of the charm. Go for it. Photos and Text by Monica Suma. You can follow her on Twitter @MonicaSuma.